– Very lightweight as compared to my previous Apexus Tadpole Tent. Packaged weight is around 1.58 kilograms but when I checked the actual weight of the flysheet and tent itself it was ony 900 grams!!! With the pole it was around 1 kilo and with the pegs around 1.2 kilos!!! – Very good rain protection. – 2 people can stay inside and sleep well!!! Yep it does but your gear will stay in the vestibule. – Questionable tent material strength. I really avoid scraping it and surely if I pitch this tent in a place with sharp things (thorns, sharp stones, etc.) then goodbye tent. – Cannot place it in prolonged hot spaces as the waterproofing will eventually degrade. 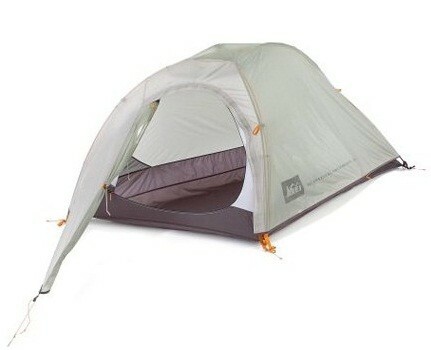 Overall I rate the REI Chrysalis UL Tent 4 out-of 5 stars. I like it because it complements my plan to go light during treks. I miss my old tadpole tent’s huge space but it was really heavy as compared to this one. My previous tadpole was also made from ultra-tough and rigid materials but again that made it very heavy. REI used lightweight meterials to achieve the UL mark and this meant that I need to take care of it a bit more since a tiny scrape or scratch on the tent body and flysheet will really effect it’s durability. I also make sure that I pack it away from sharp objects since a puncture is not welcome when I want to be kept dry during wet treks. I already used this tent in SMB Major climbs (Mount Apo, Mount Ugu and Mount Amuyao) and several mid-level and minor climbs and camping trips and it has never bogged-down on me. Will I recommend the REI Chrysalis UL Tent? Yes, but REI has stopped production of this tent and replaced it with the Quarter Dome T1 UL tent which is a tad lighter.